Más información sobre probabilidad en proyecto de matemáticas. Strand 1: Probability and Statistics was one of two strands introduced in the first phase of the new Project Maths Course. 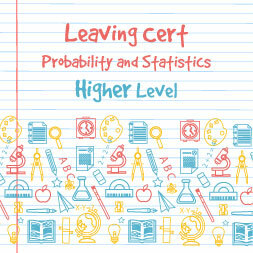 This topic covers up to half of the new Paper 2 in the Leaving Certificate Paper. Statistics are used in real life to make sense of the information around us and how it affects us. Statistics looks at the data handling cycle and analysis of the data collected. This involves posing a question, collecting data on that question, presenting that data, analysing the data (using measures of spread and centre) and interpreting the results. In answering questions, it is essential that you can contextualise and justify your findings. Probability is concerned with the likelihood of an event(s) happening. The information can be used to make informed decisions. The use of probability is commonly utilised in the world of finance, insurance and sport among others. Probability can also be used to infer the fairness of an event or series of events. It can be evaluated using a diagram or a rule-based approach. A combination of Probability and Statistics can be used to prove/disprove a given conjecture or statement (Hypothesis Testing (HL only)). This Strand attempts to merge the mathematical aspects of Probability and Statistics with its real-life application. It is an interesting topic that is very accessible to all students.